On this romantic day. Your wishes should also be extra romantic. 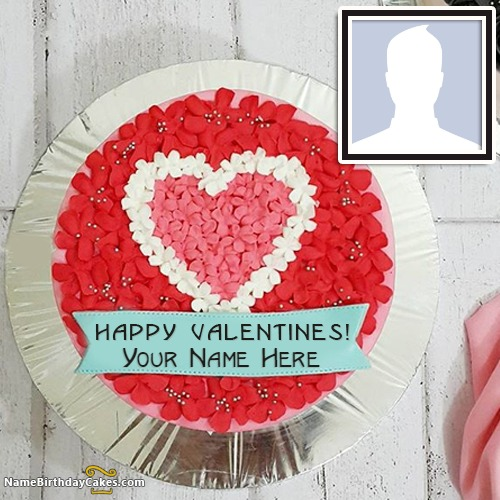 Create Valentine Day Cake with name and photo of your love. Express your love in a special way. Valentine's day is the perfect day to show your true feelings to the loved one. Don't miss it. Just go and tell them how much he/she means to you. Or share this Valentines Day Cake with the name of your lover. Also, share some romantic words. It's okay if you don't have many words or don't know how to wish Valentine day. Just write a name on valentine cake with his/her personal photo.